Have you decided to undertake a home renovation? Are you looking to build your dream home? Or, perhaps you’re just revamping your interior style. Whatever you’re considering with your Queensland home, you’ll find all the inspiration and connections you need with our beautiful collection of inspirational articles featuring interior designers, decorators, real homes and builder showcases, as well as a comprehensive directory of home experts ready to assist you with your home project. 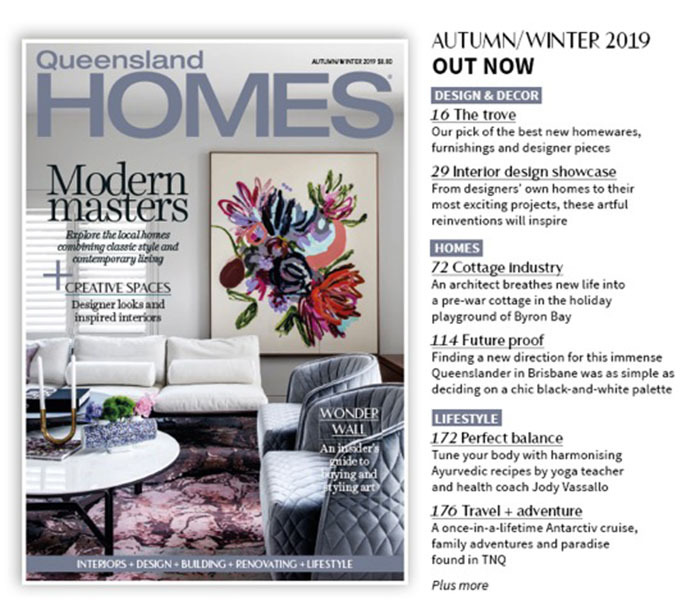 Queensland Homes has been one of Australia’s leading home renovation and home decor magazines since its first edition back in 1985 – celebrating the unique and enviable lifestyle of Australia’s sunshine state, Queensland! Read: real homes, interior decorating, renovation ideas + more.